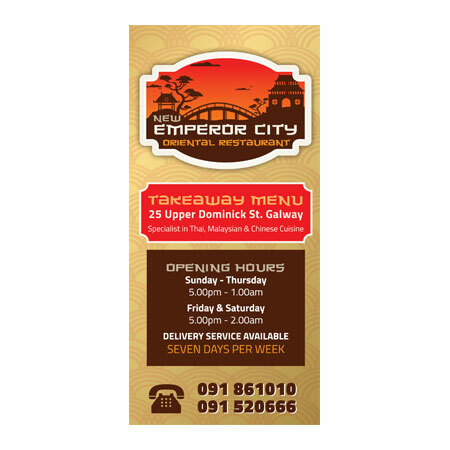 New Emperor City Restaurant wished to update their takeaway menu with a re-branded appearance that was more engaging and professional. We developed a new graphic silhouette logo with warm colours and typography evocative of Chinese hanzi characters. 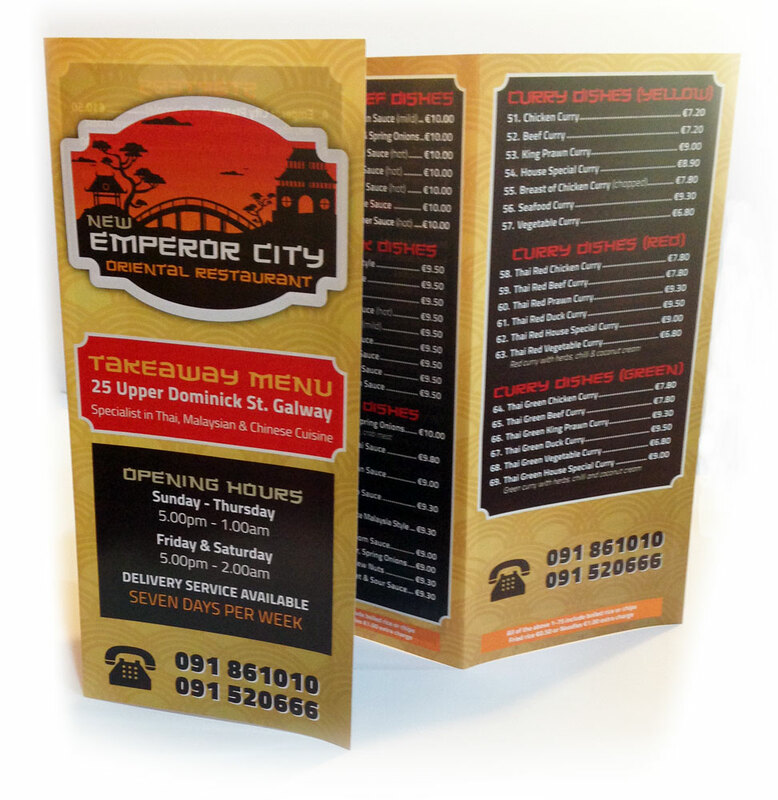 It is critically important that the information contained within a long menu is clear, accurate and easy to understand, with contact details and prices very prominent. 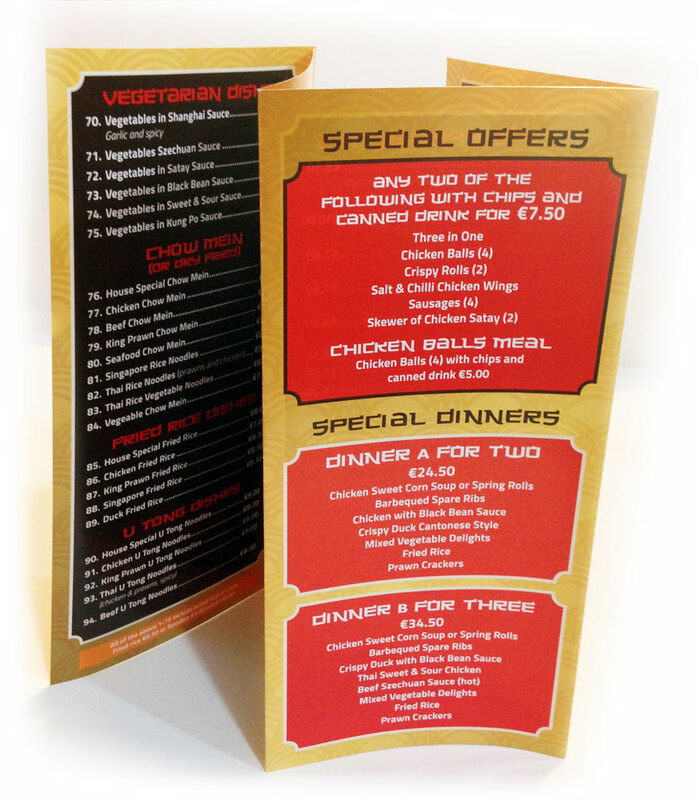 The use of colour and type hierarchy was used to make the menu as easy to read and appetizing as possible.